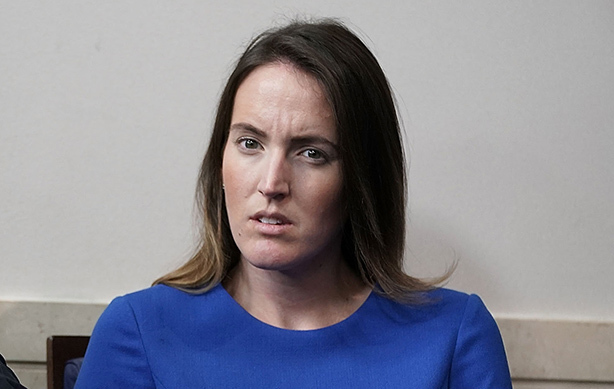 Lindsay Walters had been a Trump spokeswoman since he took office. White House deputy press secretary Lindsay Walters is heading to Edelman. She’ll start work at the PR firm in April, Bloomberg reports. She was charged with supporting the Trump administration’s economic policies. Walters will be VP, U.S. public affairs strategy and development at Edelman and will report to Rob Rehg, chairman of U.S. Public Affairs for the firm. "Edelman has always placed a high value on a balanced point of view," said Lisa Ross, president of Edelman Washington, DC. "I’m incredibly excited to add Lindsay and her deep expertise to our team as she greatly strengthens our ability to address our client needs nationwide." Walters was the only spokesperson in the White House, other than press secretary Sarah Sanders, who had been with Trump since the start of his administration. Sanders told Bloomberg the White House is still looking to hire a replacement. According to Bloomberg, Walters leaves as the White House reshapes its media relations crew. Another deputy press secretary, Raj Shah, left in the wake of handling comms for the confirmation hearings of Supreme Court Justice Brett Kavanaugh. The press office also recently grabbed attorney Stephen Groves from the White House Counsel’s office to help with White House investigations, presidential nominees, and the Justice Department. Judd Deere, a former director of media affairs, was promoted to deputy press secretary dealing with healthcare, education, transportation, and housing issues.